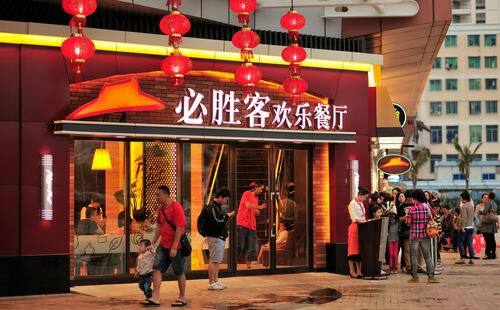 Pizza Hut opened its 600th restaurant in Sanya, the third outlet in the tropical tourist city in two months. Following the opening of its first one in Yalong Bay and the second one in Dadonghai, the store at Times Coast is the third store of Pizza Hut as well as the biggest one in Sanya. Yum! Brands Inc, the parent company of KFC and Pizza Hut plans to invest more than 700 million yuan (US$111 million) to open at least 150 new Pizza Hut stores in China this year, Sam Su, president and CEO of Yum’s China division, yesterday. "China’s economic development is healthy and grows in a more balanced way, which offers business opportunities," Su said. "Our accelerated development is on track with China’s urbanization progress," said Peter Kao, brand general manager of Pizza Hut. "New restaurants aim to tap new markets in more second- and third-tier cities, which will be our focus for expansion in the next two years." Su said he is very confident about the future growth in China despite some challenges ahead such as the economic slowdown, surging raw material and labor costs. Last year, Yum opened over 115 new Pizza Hut restaurants in China and boosted its store number to 625 in 139 cities across the country. Yum, which also runs 3,500 KFC stores, is banking on China to drive growth and offset slow expansion in its US market. Last year, China contributed over 68 percent to the company’s total profit. 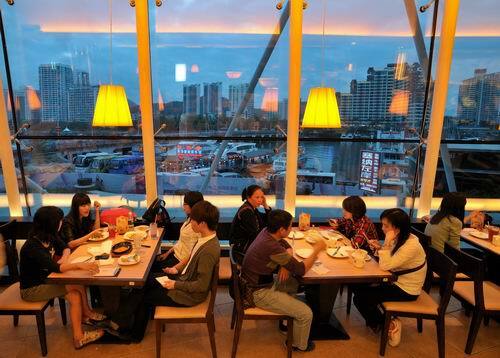 China’s dining industry has grown by 20 percent annually over the past few years. It may grow an average of 17 percent to 3.7 trillion yuan by the end of 2015.